What could be more luxurious than biting into a morsel of unctuous chocolate made by one of the leading chocolatiers of Paris? 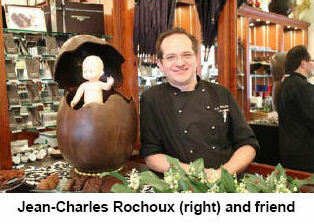 We paid a visit to Jean-Charles Rochoux at his shop on rue d’Assas and learned about his passion for the cocoa bean. Read our account in this month’s Paris Insights.